Motto: “Apply” or “goodbye.” ~~ “A place for everything, and everything in its place.” ~~ Yesterday, I was processing through more garden stuff. If I had not been able to hang the squirrel baffles, they would be added to “yard” yard sale items. (Apply or goodbye.) I’m sentimental; it’s difficult to part with some of my “art work” projects (fond memories). 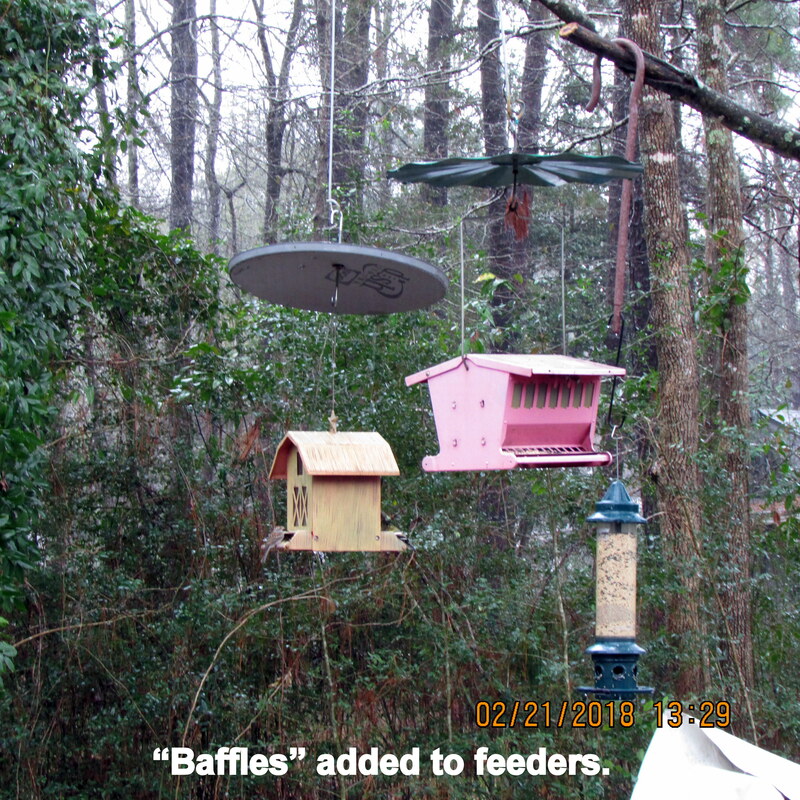 Years ago, in North Carolina, I “built” squirrel baffles from discarded satellite dishes. ~~ Here’s yesteryear trivia.